Prosperity is more than having a lot of money. It's more than having solid relationships and a healthy mind and body. You can be filled with the Holy Spirit, praise God, and worship or even prophesy, speak in tongues, and cast out demons, and yet still be unable to maintain a balanced and prosperous life. The truth is, without inner stability any outward prosperity will not last. 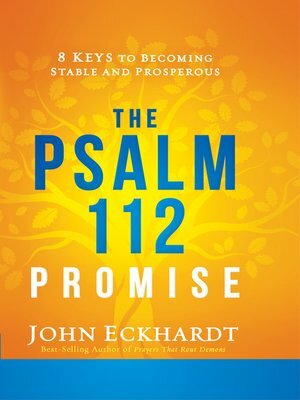 Best-selling author John Eckhardt turns to Psalm 112 to unearth the keys to being truly prosperous. Explore the eight characteristics of a balanced, stable, steadfast, immovable believer, and learn how to also become one. Featuring prayers and declarations, this step-by-step guide will help you achieve not just wholeness in your relationships, finances, and health, but also restoration in your heart and soul.